If you are interested in kimono and want to wear it, what should you do? In Japan, it is said that kimono has been handed down from generation to generation,and your mother or grandmother have them.Let’s ask them first. Regrettably if they don’t have one, you can rent it. You might feel that “rental kimono is expensive and high quality”, but some stores sell kimono we wear every day. 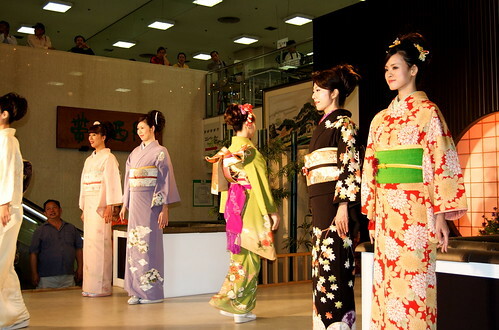 Recently some stores in sightseeing spots have simple rental system of kimono. As a merit of rental kimono, you don’t have to take care of it after wearing it and you don’t need a place to maintain it. In most rental stores, you can consult about how to wear kimono and setting of hair. If you want your own kimono, it is good to purchase recycled one and one already made at reasonable price. When you purchase it, you should decide maximum price of it in advance. If you purchase it at high price without having sufficient knowledge, you might regret about it. To know a lot about KIMONO, we need to learn about TAN-MONO(反物) next. TAN-MONO is simply stated as the fabric roll for KIMONO. 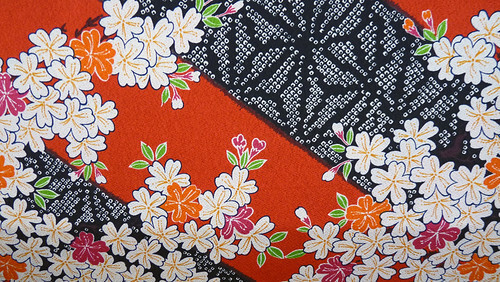 It is standardized in the size of about 12 meters length and 36 centi-meters width, which is just for one KIMONO. Any KIMONO is made from such one roll of TAN-MONO. Do you know what KIMONO definitely means? KIMONO means Japanese conventional cloth, that is also called WAFUKU or GOFUKU. In Japan, KIMONO used to be the mainstream until just few decades ago. And along with the popularization of Western clothes, KIMONO taken on a sense of traditional ethnic dress. As there are many types of Western clothes, KIMONO also includes many types of situational cloth like full-dress suit, business dress, work clothing, stylish garment, daily clothing and loungewear that each have changed with the times.